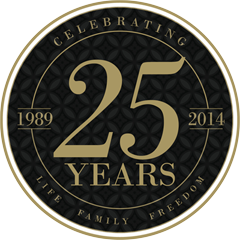 For 25 years, Pennsylvania Family Institute has been making a difference for Pennsylvania families. Helped pass a new law that protects taxpayers from paying for abortions through Obamacare’s Insurance Exchanges. Stood with Gov. Corbett for bill signing. Over four million copies of our non-partisan, church-friendly Voter’s Guide have been distributed in Pennsylvania since the early 1990’s. Equipped hundreds of pastors through our regional conferences featuring Dr. Wayne Grudem, Dr. Del Tackett and Gary Bauer.